According to Inc., it costs a business about 5-10 times more to acquire a new customer than it does to sell to an existing one — and on average those current customers of yours spend 67% more than a new one. So, what are you doing to keep your customers coming back to your business? If you’re like 65% of marketers, your company has implemented a loyalty program. So how do you keep your business out of that one-third segment? How do you convey enough additional value in your programs to keep your customers coming back? It’s time for marketers to look beyond convoluted rewards systems and offer actual value to customers using their loyalty program. To get you started, here are some ideas for customer loyalty programs that might work for your business. This is the most common loyalty program methodology. Frequent customers earn points, which translate into some type of reward. Whether it’s a discount, a freebie, or special customer treatment, customers work toward a certain amount of points to redeem their reward. Where many companies falter in this method, however, is making the relationship between points and tangible rewards complex and confusing. Fourteen points equals one dollar, and twenty dollars earns 50% off your next purchase in April! That’s not rewarding, that’s a headache. If you opt for a points-based loyalty program, keep the conversions simple and intuitive. 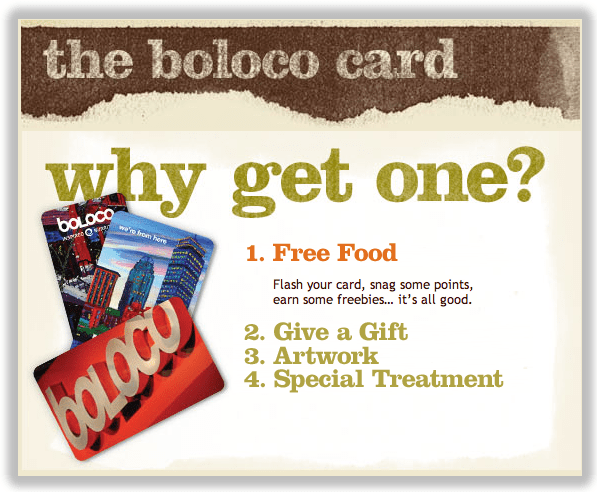 One example of a company using a points-based loyalty program well is Boloco. They speak the language of their audience by measuring points in dollars, and rewards in food items. Customers swipe their stylish Boloco card at every purchase and the card tracks the amount of money spent. Every $50 spent earns the customer a free item. Doesn’t matter if they choose a super jumbo burrito or an extra small smoothie – it’s free after $50. This is an example of a company simplifying points with an accessible customer reward system. Although a points system is perhaps the most common form of loyalty programs, it isn’t applicable to all business types — this type of loyalty program is most appropriate for businesses that encourage frequent, short-term purchases. Finding a balance between attainable and desirable rewards is a challenge for most companies designing loyalty programs. One way to combat this is to implement a tiered system. Offer small rewards as a base offering for being a part of the program, and encourage repeat customers by increasing the value of the rewards as the customer moves up the loyalty ladder. This helps solve the problem of members forgetting about their points and never redeeming them because the time between purchase and gratification is too long. 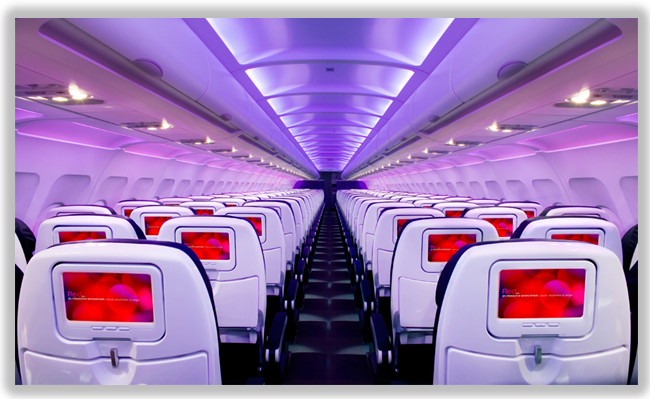 Virgin Airlines’ Flying Club inducts members at the Club Red tier, then bumps them up through Club Silver and Club Gold. Club Red members earn miles on flights and get discounts on rental cars and hotels. Club Silver members earn 50% more points on flights, expedited check-in, and priority stand-by seating. Club Gold members get double miles, priority boarding, and access to exclusive clubhouses where they can grab a drink or get a massage before their flight. The key is to offer benefits in the early stages to hook the customer into coming back. Once they do, they’ll realize that “gold” status isn’t unattainable, and offers really cool benefits. The difference between points and tiered systems is that customers extract short-term versus long-term value from the loyalty program. You may find tiered programs work better for high commitment, higher price-point businesses like airlines, hospitality businesses, or insurance companies. Loyalty programs are meant to break down barriers between customers and your business — are we seriously telling you to charge them a fee? In some circumstances, a one-time (or annual) fee that lets customers bypass common purchase blockers is actually quite beneficial for business and customer alike. By identifying the factors that may cause customers to leave, you can customize a fee-based loyalty program to address those specific barriers. In 2011, eCommerce shopping cart abandonment hit a record high of 72%, and is still rising. This abandonment is often caused by “sticker shock” after tax and shipping prices have been applied. ECommerce giant Amazon found a way to combat this issue in their loyalty program called Prime. For $79 annually, Prime users get free 2-day shipping on millions of products with no minimum purchase, among other benefits. This program is innovative because it charges loyal customers while providing enough in return for those frequent shoppers to realize the benefits. Analysts estimate that Amazon actually loses about $11 annually for each Prime subscriber, but makes up for it in increased transaction frequency that would not have otherwise happened without their exclusive benefits. Clearly this system is most applicable to businesses that thrive on frequent, repeat purchases. For an upfront fee, your customers are relieved of inconveniences that could impede future purchases. Amazon has mastered this for eCommerce, but this loyalty program model also has potential to work for B2B businesses who deliver products to businesses on a regular basis. Really understanding your customer means understanding their values and sense of worth. And depending on your industry, your customers may find more value in non-monetary or discounted rewards. 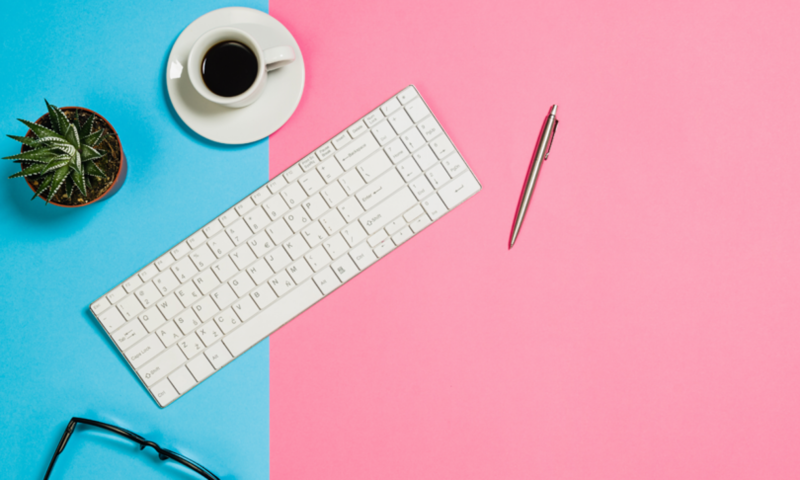 Every company can offer promotional coupons and discount codes, but businesses that can provide value to the customer in ways other than dollars and cents have an opportunity to really connect with their audience. Patagonia, an eco-friendly outdoor apparel company, realized that their customer needed more than just points and discounts from a loyalty program. 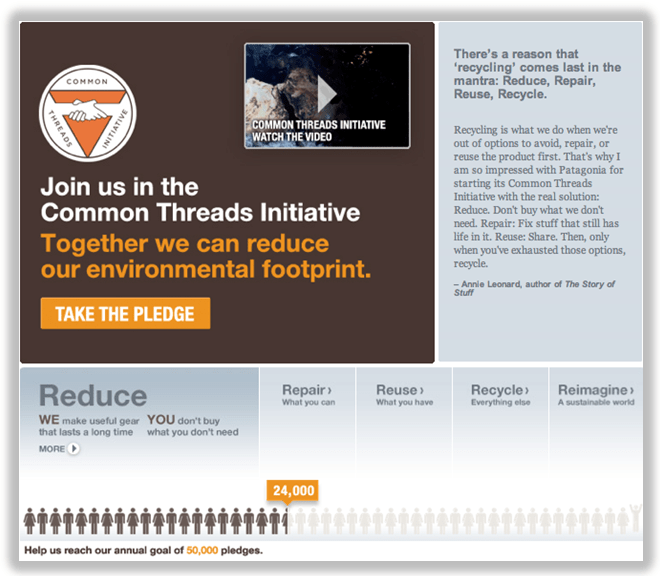 Late last year, the company implemented its Common Threads Initiative. In it, they partnered with eBay to help customers to resell their highly-durable Patagonia clothing online through the company website. This program builds on their brand of sustainability and creating a high-quality product, and it matches perfectly with the company’s customer persona by providing a value that they really care about. So before implementing a loyalty program of this nature, be sure you’ve researched and designed an in-depth customer persona! Strategic partnerships for customer loyalty, also known as coalition programs, can be extremely effective for customer retention and company growth. Again, fully understanding your customers every-day lives and their purchase process will help determine which company is a good fit as a partner. American Express has a huge partner base with companies across the country. 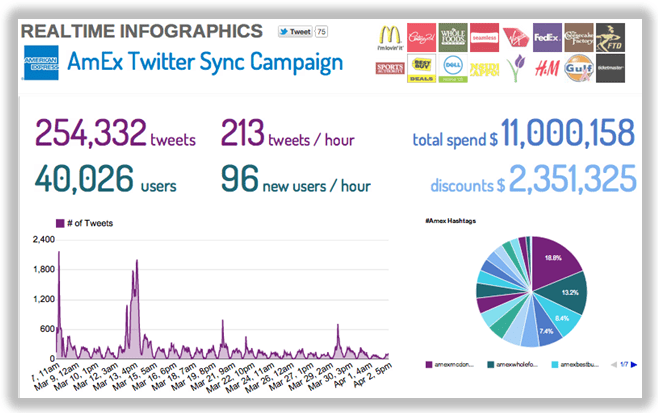 Their recentTwitter Sync campaign rewards customers for tweeting about them by syncing discounts and deals with Twitter #hashtags. According to Visibli.com, cardholders have redeemed over $2,000,000 in rewards. Participating companies that are benefitting from their coalition with Amex include Whole Foods, Staples, and Zappos. For example, if you’re a dog food company, partner with a veterinary office or pet grooming facility to offer co-branded deals for mutual benefits for your company and your customer. The target audience obviously owns a dog, so any services that dog will require offer added value from your company. Providing customers with value beyond even what your company can offer will show that you understand them, and grows your network to reach your partners’ customers, as well. Who doesn’t love a good game, right? Turning your loyalty program into a game is a fun way to encourage repeat customers and, depending on the type of game you choose, help solidify your brand’s image. GrubHub, an online food ordering and delivery website, started Yummy Rummy late last year. 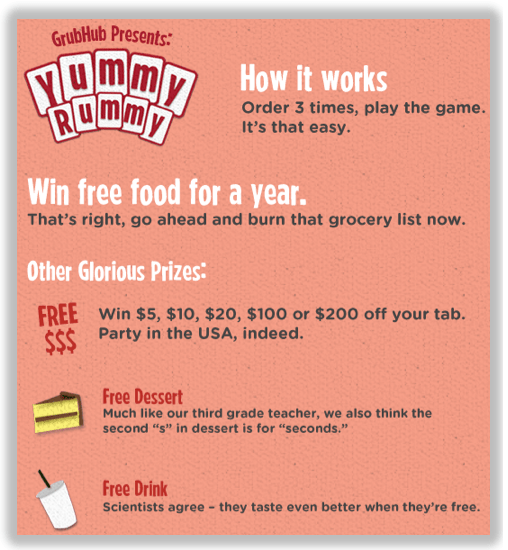 Once customers place three unique orders through GrubHub, regardless of price, they get to play a game for a chance of winning free stuff. Players choose one of four cards and have a 25% chance of winning a free dessert, drink, gift card or other cool stuff. It’s important that customers understand you’re not duping them out of rewards, though. The odds should be no lower than 25% and the purchase requirements to play should be attainable. This type of loyalty program has potential to backfire if customers feel like your company’s jerking them around to win business. Executed properly, however, this type of program could work for almost any type of company, even an off-the-beaten-path B2B company. If your audience enjoys having a little fun and purchases frequently, this type of program can make the buying process fun and engaging. Considering how many marketers are offering loyalty programs (whether they are effective or not is another story), one innovative idea is to nix the idea all-together. Build loyalty by providing first-time users awesome benefits, hooking them, and offering those benefits with every purchase. The concept sounds simple, but one of the most innovative companies on the planet implements this strategy: Apple. Even the most loyal Apple customers don’t get special rewards or discounts … because they don’t offer them to anybody. Apple “enchants” customers by delighting them with a product or service the first time. The loyalty is voluntary and long-lasting, according to Apple evangelist Guy Kawasaki. Apple has plenty of supporters, both online and off, ready and willing to rave about their product. For them, loyalty happen organically. This minimalist approach works best for companies whose products or services are unlike any other. 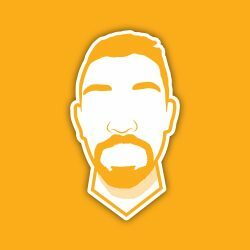 That doesn’t necessarily mean that you offer the lowest price, or the best quality, or most convenience — I’m talking about redefining a category. If, like Apple, your company is pioneering a new product or service, a loyalty program may not be necessary. Customers will be loyal because there are few other options as spectacular as you, and you have communicated that value from your first interaction. As with any initiative you implement, there needs to be a way to measure your marketing success. Customer loyalty programs should increase customer happiness and retention; and there are ways to measure these things besides in rainbows and sunshine. A lot of ways, actually. Different companies and programs call for different analytics, but here are a few of the most common metrics companies watch when rolling out loyalty programs. Customer Retention Rate: This metric is an indication of how long customers stay with you. With a successful loyalty program, this number should increase over time as the number of loyalty program members grows. Run an A/B test against program members and non-program customers to determine the overall effectiveness of the loyalty initiative. According to Fred Reichheld, author of the Loyalty Effect, a 5% increase in customer retention can lead to a 25-100% increase in profit for your company. Negative Churn: Churn is the rate at which customers leave your company; negative churn, therefore, is a measurement of customers who do the opposite — upgrade, or purchase additional services. These help to offset the natural churn that goes on in most businesses. Depending on the nature of your business and loyalty program, especially if you opt for a tiered loyalty program, this is an important metric to track. 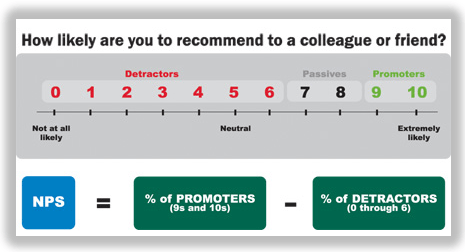 Net Promoter Score: NPS is a customer satisfaction metric that measures, on a scale of 1-10, the degree to which people would recommend your company to others. NPS is calculated by subtracting the percentage of detractors (customers who would not recommend your product) from percentage of promoters (customers who would recommend you). The fewer detractors, the better. Improving your net promoter score is one way to establish benchmarks, measure customer loyalty over time, and calculate the effects of your loyalty program. A great NPS score is over 70% — your loyalty program can help get you there! Customer Effort Score: CES asks customers, “How much effort did you personally have to put forth to solve a problem with the company?” Some companies are vying for this metric over NPS because it measures actual experience rather than the emotional delight of the customer. A Harvard Business Review study found that 48% of customers who had negative experiences with a company told 10 or more people. In this way, customer service impacts both customer acquisition and customer retention. If your loyalty program addresses customer service issues, like expedited requests, personal contacts, or free shipping, this may be one way to measure its success.